Crêperie Armor in Carantec is one of our favourite places to eat and we were first introduced to this fine, friendly place more than 15 years ago. HM’s brother and his lovely bride-to-be celebrated the evening before their glorious wedding day by hosting a dinner at Crêperie Armor, the perfect setting to meet new family and friends, and enjoy delicious local food and drink. 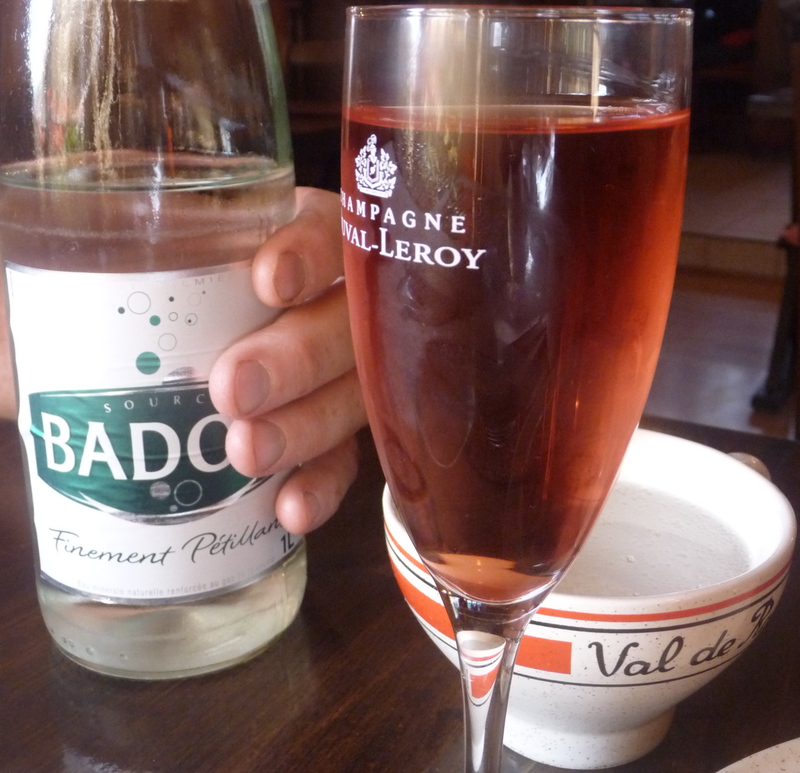 Traditional cider served in a gorgeous cup is the popular choice at the creperie, but a cold glass of kir was far too tempting! 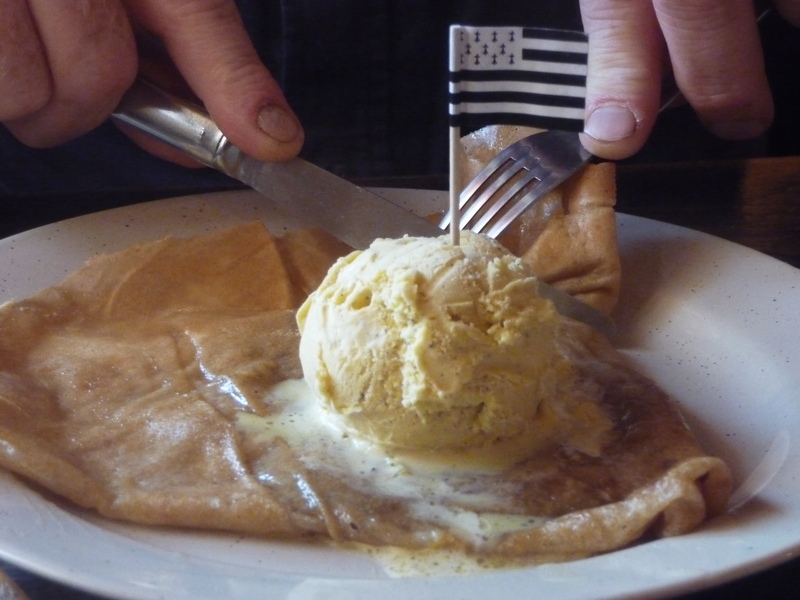 HM opted for a crepe avec marons topped with rich vanilla ice cream…mine was a delicious chocolate crepe with a generous scoop of the best pistachio ice cream to date (my favourite ice cream flavour and indulgent treat on pretty much each day of our 10 day holiday!). No photos of my crepe, it didn’t last long and I was too busy eating to pick up the camera!